Technological advances were supposed to make life easier. Instead, they have increased the complexities and expectations of modern living, leaving many people feeling overwhelmed, exhausted, and irritable. Increasingly, time management has become a vital survival skill. But time management is more than learning to juggle multiple demands efficiently. Too many angry, driven people are efficient but miserable—rich in achievements but impoverished in joy and health. Wise time management involves taking the time to develop a peaceful and balanced life plan, fight overload, and set reasonable expectations. There are several antidotes to the exhaustion, or burnout, that afflicts so many people today. One is to take vacations that are long enough to refresh. Americans are taking considerably less vacation time than they did thirty years ago. This is unfortunate, since taking regular vacations is associated with better health. A second antidote is to develop and live by a plan that balances work, love, and play. The "want to's" of life are just as essential to overall well-being as the "need to's" because the former promote growth, satisfaction, joy, and emotional well-being. This is not to diminish the importance of "need to's." There is nothing wrong with well-defined career goals that promote prosperity. The strategy presented here, however, will challenge you to also meet your essential emotional, physical, and spiritual needs, so that you are more likely to achieve your professional goals without burning out and losing the "joie de vivre." Get some sheets of paper and be prepared to write. Step 1: Life Goals. Finish the following sentence stems. Write as quickly as you can. Do not worry about whether what you write is doable or makes sense. Just write quickly. Beside each response to the sentence stems in Step 1, place a 1, 2, 3, 4, 5, and/or a 6 according to the six categories above. When you finish this step, pause. What do you notice? Are your goals balanced? Make any desired adjustments. Step 3: Backward Planning. There is peace in preparation, in having a sound written plan to refer to during times of distraction and distress. In this step, translate your general life goals into more specific goals that are achievable. Start by making a Five-Year Goals sheet as illustrated in Table 9.1. 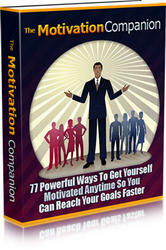 Considering all your life goals, list several goals under each of the six categories listed in Step 2. Try to make each goal as specific and measurable as possible. For example, instead of the vague physical health goal of "improve appearance," you might write "lose 1 inch off waistline." Instead of "improve personal relationships," you might write "spend fifteen minutes of uninterrupted time with my daughter each day." 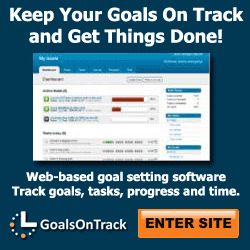 In the second column, list specific steps that will enable you to reach each goal. For example, a way to lose 1 inch from the waistline might be to walk for thirty minutes six days a week. In the third column, specify when you will begin to work on each goal. In the fourth column, describe how you will measure/observe the successful achievement of each goal (e.g., achieve waist measurement of 30 inches). The last column is completed after the five-year time period. Continue the backward planning process by completing a One-Year Goals sheet next. Make a separate sheet for your goals for the coming year, following the same procedures as for the Five-Year Goals sheet. Monthly Planning. Next, complete a monthly calendar for the upcoming month. What will you do each day to bring you closer to your five- and one-year goals? Anticipate and record here major events coming up during the month, such as medical or professional appointments, work tasks, and recreational dates. You might wish to make or buy a monthly planner to continue planning for each month. Weekly Planning. Plan a typical week, using the form in Table 9.2. It is wise to start by blocking out some of the essentials (such as sleep, eating, exercise, pleasant activities) before you block out other demands (commuting, work, meetings). Remember, life is a marathon. You'll run farther and accomplish more if you are conditioned, rested, and nourished. You'll probably want to include perhaps an hour of time at week's beginning to plan the week. Pause here for a moment. Have you allowed time each day for emotional, spiritual, and physical nourishment? If not, you will probably not give your best to yourself, others, or your tasks. Is there ample time allocated to accomplish your monthly goals? If overloading is evident, what would happen if you softened expectations or spread out some of your goals? Remember, you can do almost anything you choose to do, but you can't do everything, and you can't do it all at once. Do what you can, and then be satisfied, since no one can do more than that. Step 6: Daily "To Do" List. Make a single list of things you choose to do for the upcoming day, by their priority. Do the highest priority items first. Try to make a list with reasonable expectations, allowing sufficient time to accomplish each item. If you don't get to all the items, place the unfinished items on tomorrow's "to do" list, again listed by priority. You might wish to make a "to do" list at least an hour or two before retiring and review it at the start of the next day. It is also suggested that you keep all your planning sheets together, perhaps in a single notebook, with your daily "to do" list first, where you can refer to it often. • Plan to arrive at a destination at least ten minutes early. If the activity is important or if delays are likely (traffic, etc. ), plan to arrive earlier. • Bring a book or something else to do, so that you can stay calm if you are kept waiting. 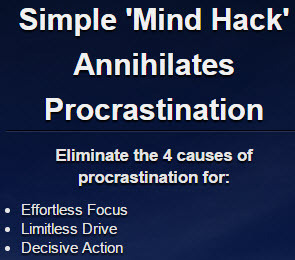 • Stay on task. Once you have a balanced plan, work efficiently so that you will have time to recreate. Don't waste time. • Have a contingency plan. Anticipate glitches so that you can stay calm. Make copies of important papers and store them in a different place from the original. Have coins in the car for parking meters. Have a spare key in your wallet in case you lock yourself out of the car. Leave a spare house key with neighbors or safely hidden outside the house. • Organize. Develop a retrieval system for important information. Get a file cabinet with folders for taxes, medical information, budget, insurance papers, assets (and where they are located in case of emergency), and other important papers. Get rid of clutter—needless papers, clothes you haven't worn in a year, etc. Store clothes and tools so that you can put your hands on them. Keep a notebook of lists so that you don't have to hunt for them. Lists could include birthdays, gifts to buy and sizes, addresses and phone numbers, things you'd like to buy for fun, or favorite books and movies.